Celtic’s domestic season has been brilliant so far. They haven’t lost a single game yet and barring the one against Inverness Caledonian Thistle FC, the Hoops have won all their Premiership games this season. But, Celtic are used to this. They won the Scottish Premiership last season with a 15 points cushion and they are already 14 points ahead of the immediate team below them, Rangers. Celtic have dominated the league quite comfortably for years now and the objective behind bringing in Brendan Rodgers wasn’t to continue the custom but to better it. And it has already had its effect already. The season is halfway done and the Hoops are aiming for an invincible season this year. The biggest challenge for Brendan Rodgers will, however, be to regain the European pride that Celtic have lost. A big reason for bringing Rodgers to Celtic was his repertoire across Europe. Otherwise, why would a manager, who had started a season terribly with Liverpool, be even a target for a giant club like Celtic? With Rodgers, there are an influx of Premier League players, like Kolo Toure, Moussa Dembele, Patrick Roberts, Scott Sinclair and Cristian Gamboa. And with the January transfer window coming, Rodgers will again look to raid the Premier League. While in the paper, the Celtic team looks flawless at the moment, but it was the Champions League campaign that exposed their frailties. Undoubtedly, they were potted in a group, which had Manchester City, Barcelona and Borussia Monchengladbach fiercely competing for just two spots. But one couldn’t help but notice that the team was not close to European standards. Since Celtic doesn’t have the financial power to compete with the European giants and bringing in players paying an insurmountable fee, Rodgers would go for smart buys that he has done last summer. As there is always scope for improvement in a squad and Celtic could find a better stability against European superpowers, if they have a more stable midfield. Now, their skipper Scott Brown has led by an example in the central midfield and he looks irreplaceable at the moment, but one cannot miss the lack of an ideal partner for the Scotland international in the anchor position. 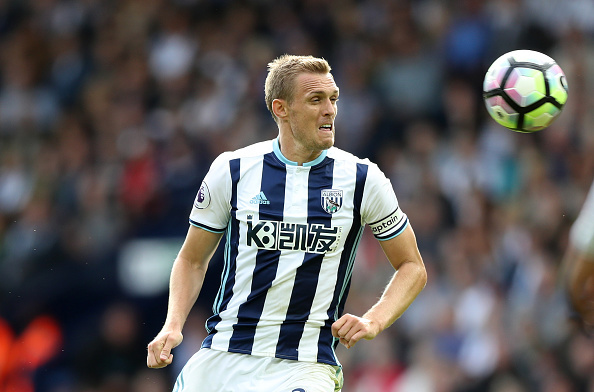 And Celtic could get that ideal attribute in West Brom’s skipper Darren Fletcher. His contract with Baggies end in June next year and the Baggies will surely be willing to bind him down to a new contract. Only someone like Rodgers could pursue him to join Celtic. Fletcher isn’t used to Champions League football since leaving Manchester United in 2015 and the lure of the biggest club competition in the world might just be too strong to resist. He has been a quintessential part of West Brom’s midfield this season. He has scored one goal this, creating seven chances and one assist. Fletcher has completed 446 passes this season so far with a pass accuracy of 77%, of which 85% were forward passes. 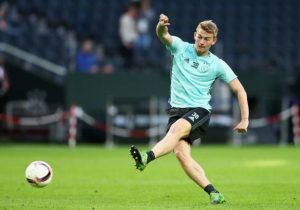 A youth academy product of Scottish side Tynecastle FC, Fletcher has come up the ranks of Manchester United and has been of the most disciplined, composed and highly technical midfielder in Premier league. If played alongside Brown, Rodgers might see his team find the stability that has often been missing in big games. Predicted 4-4-2 Brighton & Hove Albion Lineup Vs QPR: How Much Rotation Will We See From Hughton? Can This One Decision From Crystal Palace Save Their Doomed Campaign Of So Far? Celtic Finally Reach An Agreement To Sign This Rodgers Favourite; A Good Move? Australian Outfit Set To Step Up To Lure Celtic Hero From Glasgow: What Now For Rodgers? Celtic’s Summer Signing Can Soon See First Team Action After This Development: Boost For Rodgers?